Situated in Ahmedabad, Kite Museum is a prime tourist attraction of Gujarat. The museum is a part of Sanskar Kendra, which was formed in 1954 as the cultural centre of Ahmedabad. Like its exhibits, building of the museum is also a head-turner as it was designed by the renowned architect Le Corbusier himself in 1954. The concept of the kite museum was initiated by Bhanu Shah when he donated all his kite collection to the Ahmedabad Municipal Corporation. The kite collection gradually grew in range and today all those kites are showcased in the museum accompanied with interesting illustrations and photographs. 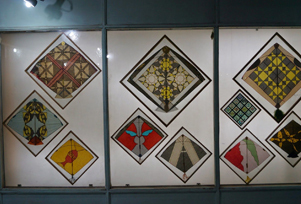 In the museum, one can see an extraordinary collection of kites and types of papers that are used to make kites. The collection of custom made kites included in the museum is mirror work kites, 16-22 cm long kites, Japanese kites, and block print kites. Exhibits in the museums are not only kites but also interesting illustrations and paintings.